I read a biography recently about Georgia O’Keeffe by Lisa Mintz Messinger that had the following quotes in it from other sources. I find that I like the way Georgia thought about art and the way she approached her work. She did do some abstract painting for sure, but she painted her own interpretation of what she saw which always made her subject her own. In the last several years I have taken a few art classes. In every one, the instructors emphasized drawing or painting what you see. I understand why they did this, but not everyone “sees” the same exact thing! After studying Georgia’s work and reading what she had learned in her many years as an artist, I have to say I agree with modern art instructors up to a point. We can spend a great deal of time concentrating on getting this line or this curve in just the right spot so our drawing ends up looking like a photograph, or we can study the subject and know it so well that we can draw it in a way that expresses who we are as individual artists. This is what I love about art the most. Art is an expression not of just what we see or imagine, but it is a picture of what our soul is seeing and feeling while we work. At least that is how it is for me! However, this does not mean that we can’t learn how to draw the way that instructors are teaching us. Whatever we can learn in a class or from a book or from working with other artists can benefit us. I think of it this way: study art instruction, chew on and digest what you will use, and spit out the bones. (My husband says this all the time about studying theology or any other subject that interests him.) I think it is good advice. In art classes we are required to deliver what the instructors want. But when we are working on whatever we desire to do, it is OKAY to do whatever WE want to do, because it is an expression of who we are. Let go of the need for other people’s approval. Create art because you love to do it, not just to please someone else’s tastes. I have been studying different artists’ work for years, so I have chosen to read about my favorite artists’ lives and think about the times in which they lived. For instance, I know many, many people who just do not like Vincent Van Gogh’s work! But he truly struggled in his endeavors to create art. He struggled with depression and money problems to the point where he committed suicide. But he painted what he saw in the way he saw it, and to me that is all that matters. I believe that when we take into consideration the individual, the context of their painting, and the times, in which they lived, we can come to understand any artist’s work and give them the respect they deserve for having the courage to put it out for all to see. Have a great day and give someone you love a big hug! Posted on July 25, 2013, in Art Talk and tagged Georgia O'Keeffe, Vincent Van Gogh. Bookmark the permalink. 4 Comments. Thank you for reading my blog! Sorry it took so long to respond to you. I must have missed your comment somehow. Yes, Georgia did have an awful time with Alfred. I’ve never been able to understand why she put up with it for so long! My husband says “it was the 60’s!” LOL! Words here stand out for me here….”The idea is to know your subject so well that you can paint it in a way that expresses who you are as an individual artist.” “Paint what you see in the way you know it, that’s all that matters.” Love this post! Thank you! 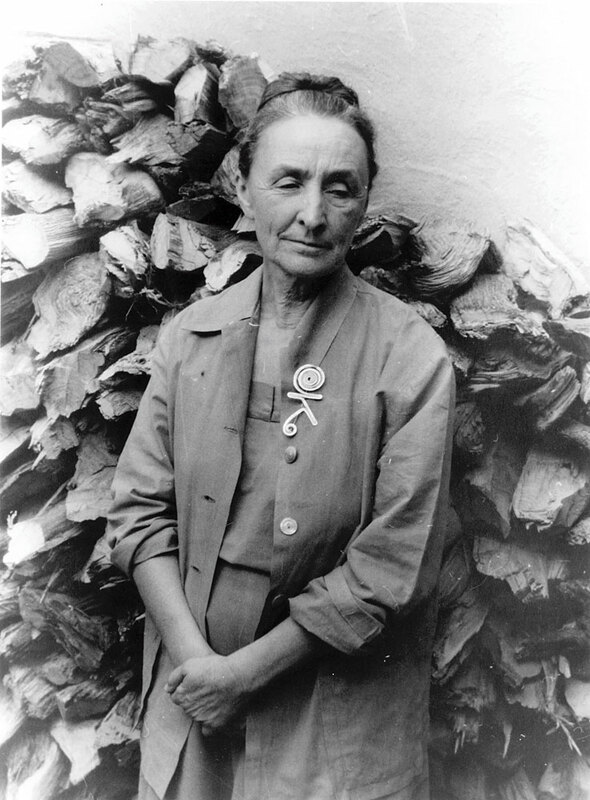 I have been reading a great biography about Georgia O’Keeffe as well as her autobiography in the last month or so. She was an amazing woman. I admire her spirit and spunky attitude. She was still painting up into her 90’s which amazes me! Thanks for your interest in Georgia O’Keefe. She was an amazing woman and I hope I can still be painting when I get older. She had a hell of a time with Alfred Stieglitz I believe also! Thanks for your great work!